As I think about making the tutorial for this mini quilt, it’s becoming apparent that it might be a long one. A tutorial like this is too lengthy to print out and too much information to take in at once. So, with that in mind, I’m going to break it up into three sections. I’ll post one section each Friday starting next week, October 9. The finished size of the quilt is 22″ square. It’s a nice size for a wall hanging and it would make a great gift, too. That open space in section 2 would be the perfect spot to personalize this quilt with someone’s name or initial. You could use applique or embroidery. How about a graduation gift? I love this idea and if you start now, it will be ready long before graduation season! I’m using left over scraps from the Fusion Illusion line from Blank Quilting. This is the same fabric that I used in the original quilt for the Jaftex Blog Hop. If you want to start planning for the mini quilt, you’ll need 1/4 yard of background fabric and scraps of fabric in a rainbow of colors. I used 10 different colors plus black, grey, and brown. Let’s switch topics and talk about cookies. Have you ever heard of Appledoodles? I hadn’t either, until today. The recipe I used for Appledoodles came from Christy at The Girl Who Ate Everything. It’s like snickerdoodles meets apple pie. It is a winning combination! Luckily, I get to share mine with my BOM group, so they won’t all end up on my waistline. I followed the recipe ingredients exactly as written. I didn’t have time to refrigerate the dough for an hour and then roll in cinnamon/sugar, so I just spooned mine onto the cookie sheet and sprinkled them with cinnamon and sugar before baking. Moist, chewy and so delicious! If you’re wondering about that cute little mug rug underneath my cookie, it’s a tutorial from several years ago. You can find it here: Holiday Mug Rug Tutorial. This Sunday is Sew Thankful Sunday for October! You’re going to love this one! See you then! Loving the Hot Air Balloon mini; your holiday mug rug; and those appledoodles look so good. My mouth is watering as I type. I look forward to your tutorials and am going to print out that cookie recipe, it looks awesome. Thanks for doing the tutorials Julie! This will be a perfect gift for a friend who has been a crew member for a balloon team for a long time. this looks like a challenge for me, I told myself no more new projects but now changed my mind but this must be my last till I have done some on the to do list! What a great looking quilt. So pretty using those fabrics, which I love as well. I think I bought some, but can’t recall whether it was a charm pack or five haha, or a jelly roll, or what exactly. Those cookies looks really yummy. I’m dying to get to the apple orchard. Each year we go and I eat apples all day long and then supper. LOVE apples. Of course, what’s a trip to the orchard without Apple Cider Donuts, right? I’m going to love making this quilt and the cookies! Thanks! You are so inspiring! I love the idea of the 22″ mini…even more since you used my granddaughter, Amelia’s name, as your example. Any child…male or female would love this mini hanging in their room. I could just (hug) you!!! PS Love the cookie recipe idea too!!! 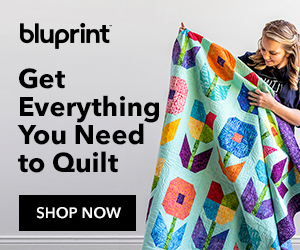 I look forward to the mini quilt tutorial! I love this, Julie … Another great one from you. Hot Air Balloons and Geese … absolutely perfect. Thank you so much for sharing! !